Liseberg 2018 - Valkyria: B&M Dive Coaster : Theme Park News & Construction! Liseberg released this trailer for their new 2017 ride. It says "giant awakens" and the park has confirmed that their Frisbee ride, SpinRock will be removed to make way for this ride. I personally think it's a giant Frisbee by either Huss or Zamperla. Announcement is next week! Last edited by Paradox on September 27th, 2016, 10:02 am, edited 4 times in total. I hope something like SpinSpider at Tusenfryd! ^^ & ^ Awesome CC members made a trip there and showed us plenty of photos of Liseberg's awesomeness, so I believe that the park will get a stunning ride! Liseberg, Grona Lund, Phantasialand, and Europa Park are on my international travel list for a reason. The park has also stated that on the 27th, they will not only announce their 2017 ride, but also their 2018 ride which is rumored to be a new coaster. There's a rumor going around that the new coaster could be a B&M invert or something from RMC. The park has also posted this new teaser that says "out of darkness"
Last edited by Paradox on September 27th, 2016, 10:01 am, edited 2 times in total. Spin Rock was a pretty poor excuse for a swing ride in my opinion - glad it's getting replaced! Wasn't a fan of spinrock tbh, they'll be replacing it with another flat. What I'm interested in is the land they bought. I've also heard the rumors of a B&M Invert and I like the idea MUCH better than RMC. Setting my hatred for RMC aside an invert would really work well with the park. 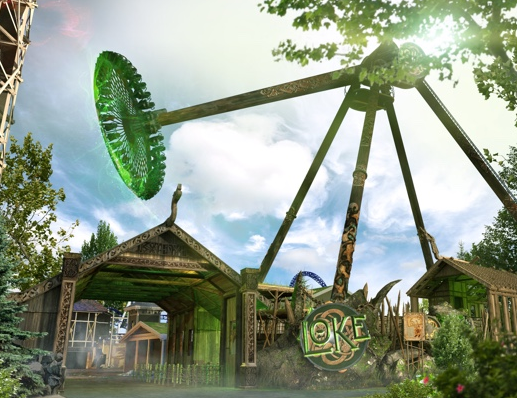 The thing is that all leads to this - the rides will be named Oden and Gungner, Oden is a giant in Nordic Mythology (where Balder get's it's name). "Giant Awakens", he has two ravens (hence the birds in the video), and his weapon is a spear (Gungner). The most interesting part is that "Gungner" sounds like the swedush word for swing, "Gunga"... Am I onto something?! Last edited by Paradox on September 27th, 2016, 9:59 am, edited 1 time in total. Stop focusing on the name "Gungner". About ten days ago Liseberg sent an application for registering two new trademarks, and those are "Valkyria" and "Loke". Loke is the son of a giant, and the valkyries have somtimes been accompanied by ravens in nordic mythology. 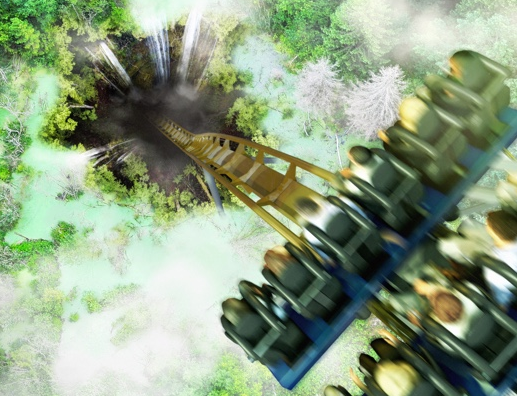 Will the rumored Giant Discovery from Zamperla get the name of Loke? And could "Valkyria" be an upcoming roller coaster in the area south of Balder that was bought by Liseberg a few years ago? Or may it be a rebrand of "Kanonen", to expand the nordic mythologic theme around Balder? Welcome to the site Amuze! Interesting, Idk what they'll do with the names. There are a lot of possibilities out there and after going to Liseberg I can say I'll be happy with almost any result they decide on! Thanks! The latest video says "the battle begins" with an animation of Balder breaking down, and it all seems to make sense now with the arrow in the earlier teaser. In the mythology Loke (Loki) tricked Höder, Balders blind brother, to kill Balder with an arrow. Liseberg is great, but i'd like to see them putting more effort in connecting different rides by themes. For example, i like how they worked with the look of Hang-Hai but the theme really doesn't make much sense if it's randomly placed as it is today, and not in a bigger area of adventure-themed attractions. That's why i think it'll be great if Liseberg rethemed the area around Balder to create a small world of nordic mythology. 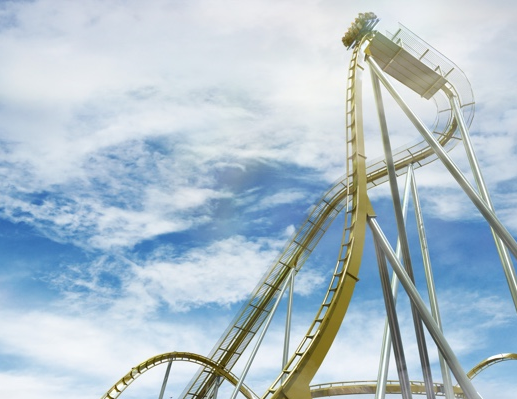 Off topic: Do you discuss a lot of flat rides and such on Coaster Crazy too, or is it mainly coasters? So the announcements were leaked a bit early and here's what was announced! And for 2018, we have Valkyria, a 50m tall B&M dive coaster and also the longest dive coaster in Europe! Last edited by Paradox on September 27th, 2016, 9:54 am, edited 4 times in total. Dive machine. Did not see that coming. 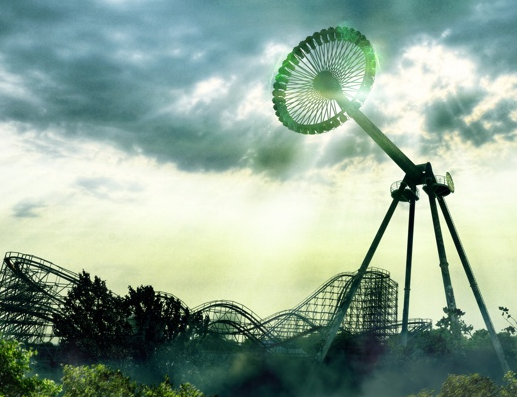 A few weeks after my first visit to Liseberg they announced Helix... Now a few weeks after my visit to Liseberg they announce another big coaster... Maybe I should visit them more often. The two rides look like very nice additions to the park! Actually we also discuss flat rides at major parks. 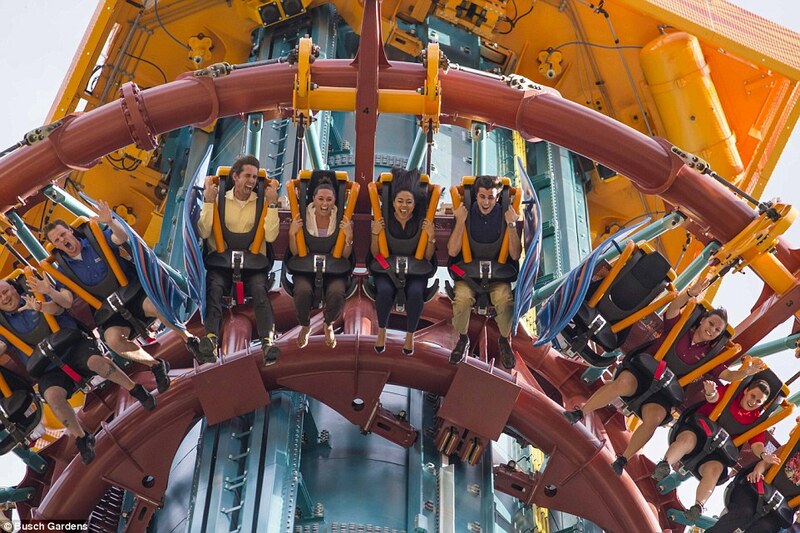 Our curiosity goes to many ride types! Oh I'm sorry I missed that post Amuze. We talk about pretty much everything theme parks here We are a very versatile site. Loke (the Intamin gyro swing) will also have lapbars! Apparently they will look like Falcon's Fury's restraints but without the vest. I believe this is the first giant Intamin gyro swing as well. That's going to be absolutely terrifying! a lap bar with seats facing outside of a spinning circle! going beyond vertical! Loke (the Intamin gyro swing) will also have lapbars! Apparently they will look like Falcon's Fury's restraints but without the vest. even without the vest, i would still class it as an OTSR, though. it would still look like one, anyway. Great annoucement in my opinion. Spin rock was rubbish - this'll be far better and a dive machine compliments thier line up well in my opinion. Interested in the "lapbars". Falcon's Fury without the vest still looks... restrictive. Unless they remodel the connection bars to be more like Helix that is. Kanonen is getting axe'd in the process right?